Before joining BHB, Omer Er was the Founder and Managing Partner of Middle Bridge Partners, a boutique investment firm investing in early stage companies of the new economy in the US with a diverse industry focus. To this day, he still serves as one of its principles. Omer started his career at world's now largest law firm Dentons as a corporate attorney. He provided legal, public policy and corporate strategic advice to several multinational corporations such as Lehman Brothers, Newscorp (FOX, Myspace), Turner Broadcasting (CNN-TNT), Shell, Nokia in complex cross-border M&A transactions and foreign direct investments in different jurisdictions. With a special interest in a global free market economy Omer has published articles and editorial works on foreign direct investments. 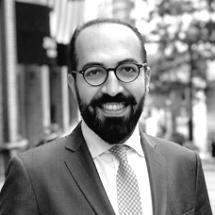 Omer holds Bachelor of Law degree from Istanbul Bilgi University with full scholar and two Masters of Law degrees from Istanbul Bilgi University and Georgetown University in Washington, D.C. He is an active participant of civic and social organizations and a frequent speaker of the panel discussions on doing business in different geographies. He is a member of Atlantic Council, Milken Institute, young businessman association (GYIAD), board member and chair of Americas of World Turkish Business Council (DTIK), former board member of Independent Businessmen and Industrialists Association of USA, and a member of the Istanbul Bar and New York Bar Association. Omer is also selected as one of the 40 under 40 Influential Turkish Americans and the Young Society Leader by the American Turkish Society. He is a frequent guest of the Turkish and international media on US Turkey relations. Mr. Er speaks English and Turkish.